Food safety and quality should always be top priority. 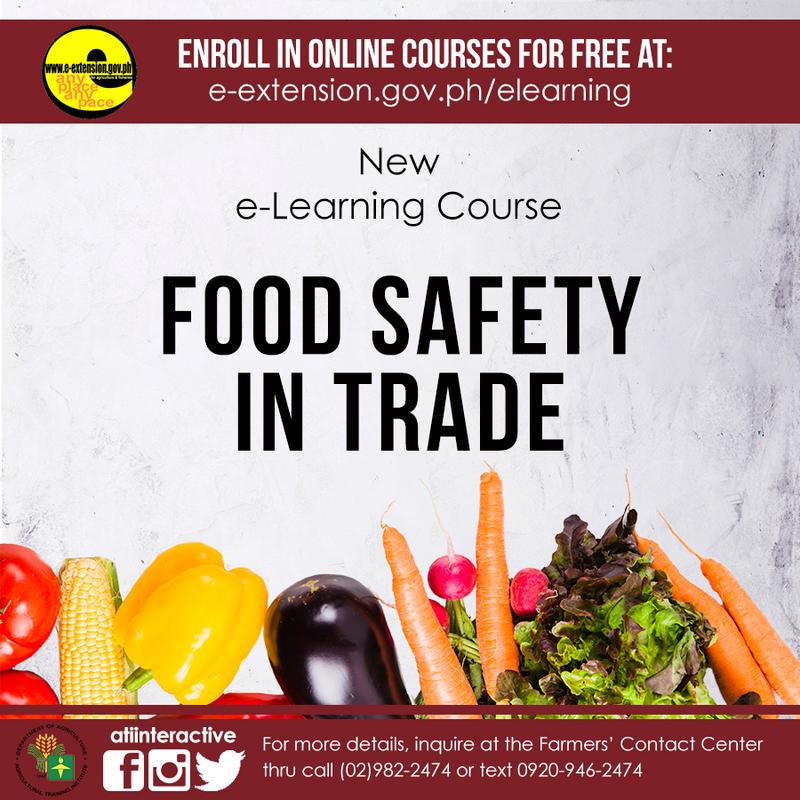 Learn the fundamentals of food preservation and food safety by enrolling in our newest e-Learning course on Food Safety in Trade (PTTC-FOOD1). Likewise, gain insights on the different issues affecting food safety which can help you navigate your way in the global market. This two-module course was developed by the Philippine Trade Training Center. Please advise on how i can access this e-Learning Course on Food Safety in Trade. Hi Dulce! We have observed that you already created an account in e-learning. You just need to key in the enrollment key that we have sent to you thru PM. Thank you and happy e-learning! I would like to enroll in this course. Please let ne know how. Thanks. Hi Julius! We have sent the e-key for this course in your mailbox, kindly check. Thank you and happy e-learning! Hello pls send key t this course! Tysm! Hi Monica. Sent you the e-key via PM. Pakicheck lamang po sa iyong e-learning mailbox. Thank you po! I would like to have an enrollment key on this course. Kindly provide me, thanks and God speed. Hi Maria. Sent you the e-key via PM. Pakicheck lamang po sa iyong elearning mailbox. Thank you and Happy e-Learning! HI Joycee. e-key has been sent to you via PM. Pakicheck lamang po sa iyong e-learning mailbox. Thank you and Happy e-Learning! Good Day! kindly send key to this on-line course...thanks in advance! George, Pakicheck na lang ng message box mo para sa response sa request mo. Happy e-learning! hello! requesting for key code pls? thanks in advance! Pakicheck na lang ng message box mo para sa response sa request mo. Happy e-learning!